New Delhi, June 16, 2015: Indian Oil companies will cut the retail prices of diesel by 2.6 percent and raise those of petrol by about 1 percent from Tuesday, reflecting changes in global prices of the two fuels since the last revision. 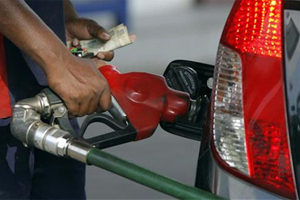 The retail price of diesel prices will decline by 1.35 rupees ($0.02) and that of petrol will increase by 0.64 rupees per litre, a company statement showed. India’s three state-controlled oil companies IOC, Bharat Petroleum Corp Ltd (BPCL.NS) and Hindustan Petroleum Corp Ltd (HPCL.NS) tend to move the retail prices of fuels in tandem.